Gothic elegance in this Ruby ring in Knighsteel with 24K Gold shaped inlay and inner sleeve. 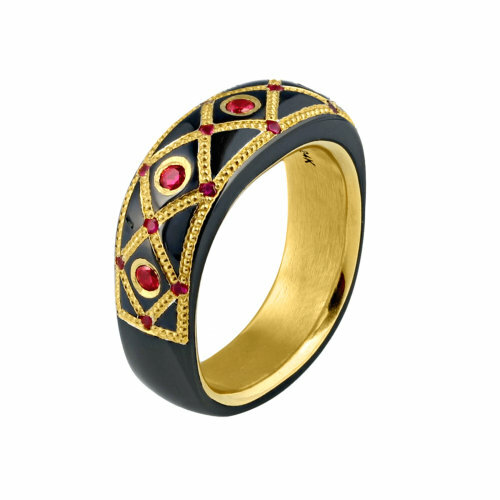 This Ruby ring is made of Knightsteel with 24K Gold shaped inlay and inner sleeve. There are five .04 ct. Rubies and sixteen .01 ct. beautiful small Rubies set in the inlay.